Now this is quite an interesting dish.. The main dish is done Sambhaar style (baby eggplants dropped in whole with just a quarterway slit), left to settle for a bit and then the thin surface liquid is removed and used as Rasam. Basically a 2 in 1 dish! 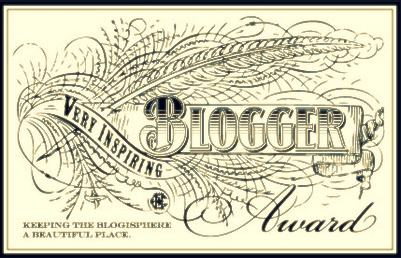 Amazing isnt it?! 1. Heat 1/ 2 tsp oil in a small pan and roast the spices listed under spice mix till golden brown. Take care not to let them darken. Let cool, then dry grind to a coarse powder and keep aside. 2. Wash and remove stem from the eggplants. If using the baby ones, simple make a cross quarter way through. If using the normal size ones, cut them into quarters. 3. 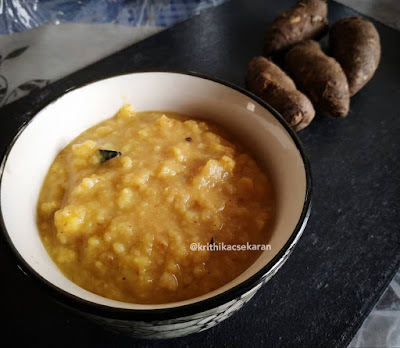 Pressure cook toor dal with little turmeric powder till done. 4. Heat 1/4 tsp sesame oil in a saucepan and give the eggplants a quick toss. 5. 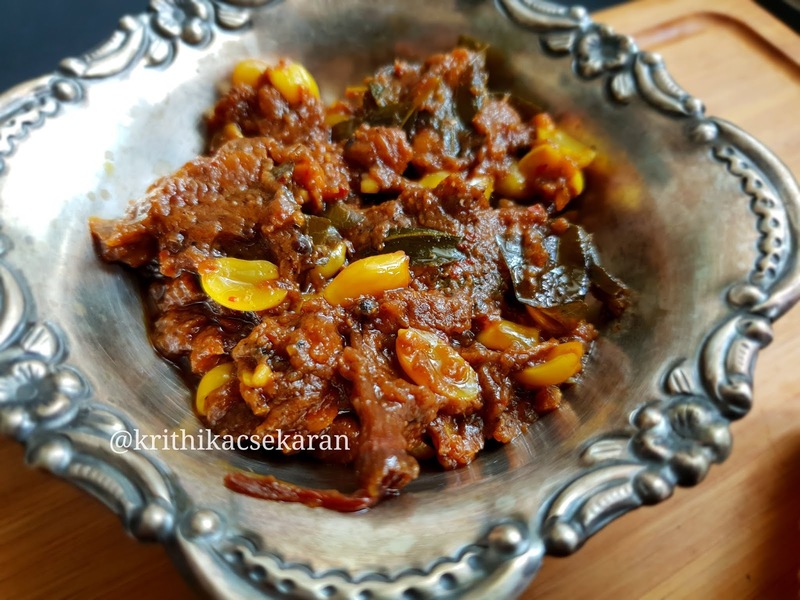 Add the tamarind extract, salt and let simmer on medium till the raw aroma of tamarind leaves and eggplants are half-cooked. 6. Reduce flame, add the cooked dal and simmer for 5 mins more. 7. Now add the ground spice powder as per taste and check for salt. 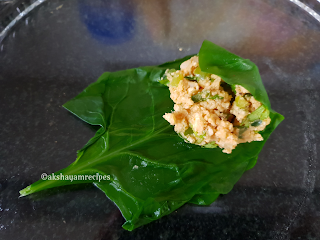 Add torn curry leaves as well. Let simmer for just 2 -3 mins more. 8. 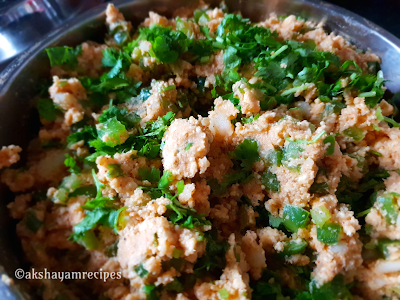 Remove from flame and add chopped coriander leaves. 9. For the tempering, heat 2 tsps sesame oil in a pan, add mustard seeds, red chilli and hing. Pour over the sambhar. 10. 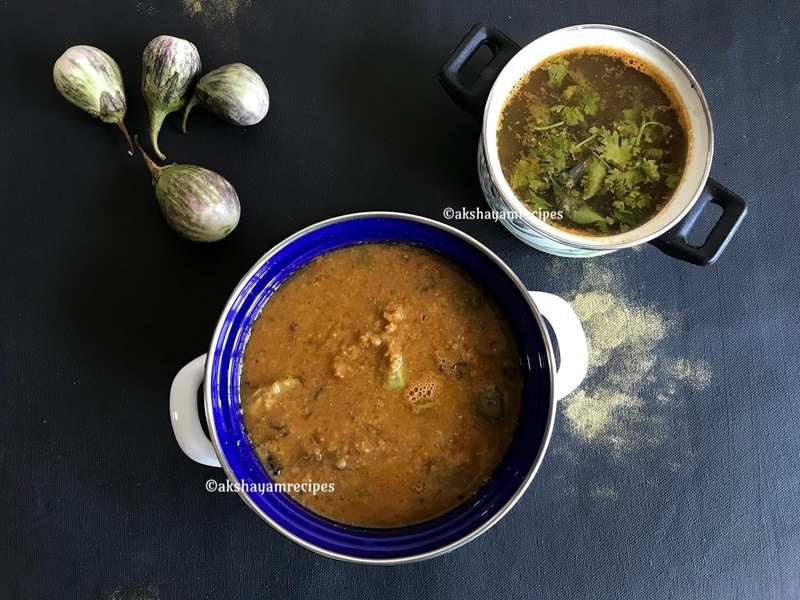 Stir and let settle for a bit till the thinner 'rasam' is left on top and dal settles at the bottom. 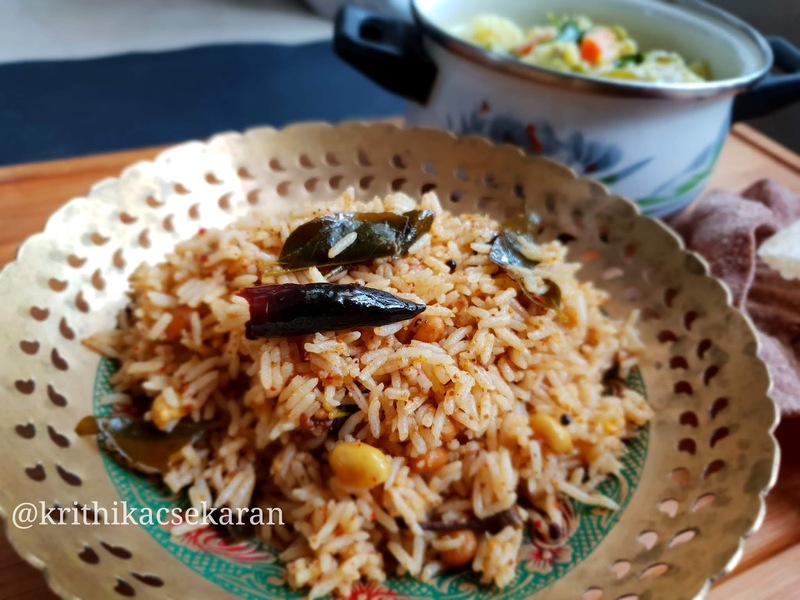 Gently transfer the rasam to another vessel and voila, 2 dishes from one! 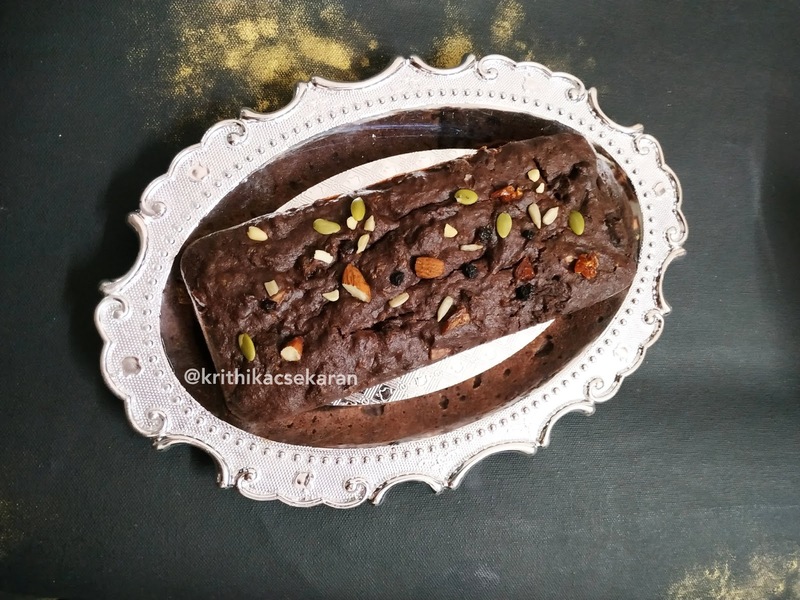 Baked something after a really long time and was super happy with the soft cake that came out. 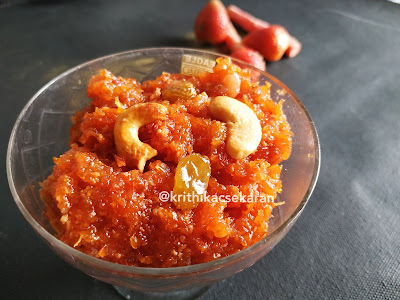 Plus, I used Jaggery in this instead of sugar. 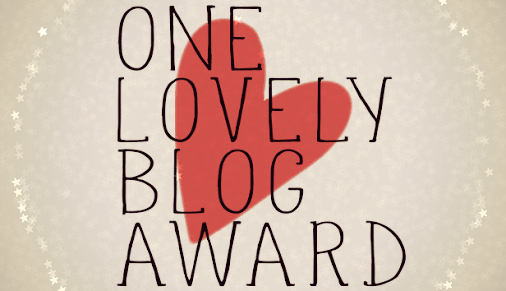 Totally amazing and a must try..
1. Preheat oven to 180 deg C. Microwave the bananas with the skin for about 3 mins on high. The skin will brown and the pulp will soften. De-skin and mash the bananas well. 2. Sieve together the wheat flour, baking powder, baking soda, spices and a pinch of salt. As we are using whole wheat flour, sieve at least twice or thrice to loosen up the flour. 3. 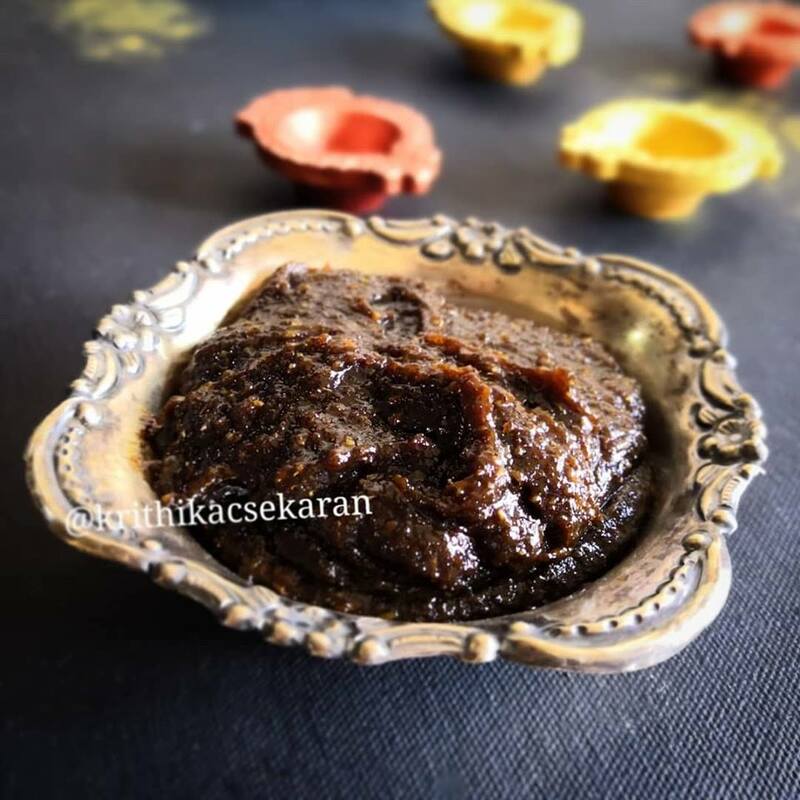 In another bowl, whisk together oil and jaggery till well blended. Add the mashed bananas and whisk again. Now add 1 tbsp yogurt and mix. 4. Gradually add the dry flour mix in batches, cut and fold gently, repeat till all the flour is added in. Gently mix till no loose flour is visible and leave no lumps. If the batter is thick add the the remaining 1 tbsp yogurt as well. 5. Quickly toss 3/4th of the dry fruits and nuts in the 1 tsp loose flour till well-coated. Add to the batter and mix in. Coating the nuts in flour will prevent them from sinking in the batter. 6. Transfer to a greased loaf/cake tin. Sprinkle remaining dry nuts (non-flour coated) on top. 8. Remove and let cool for about 5-7 minutes. Transfer to the serving dish. Serve warm or cold. 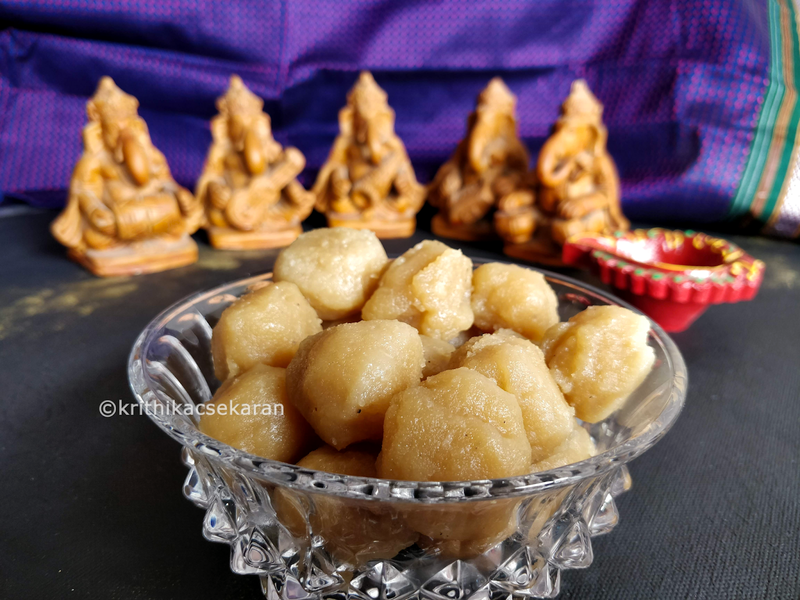 We call this Karunai Kizhangu (tuber) or Pidi Karunai. 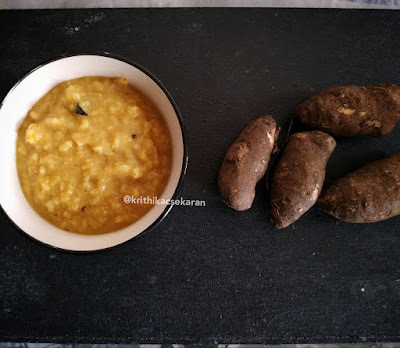 Karunai Kizhangu Masiyal (or literally, Yam Mash) is the most common and one of our favourite recipes that we prepare with this tuber. It takes very basic spices. 1. Peel, wash and leave the yam (halved) in some rice water to remove the itchiness. 2. Wash again, cut into thick slices and pressure cook upto 3 whistles. Remove and mash while still hot. 3. Transfer to a thick bottom saucepan along with the tamarind juice. 4. Add the slit green chili, ginger and salt and let simmer on low for 4-5 minutes. Keep stirring occasionally. 5. Remove from flame. Prepare tempering by heating oil, adding the rai, urad dal, hing and curry leaves. 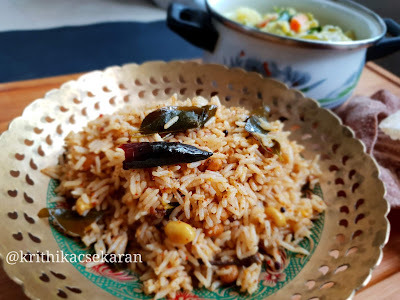 Pour over the Masiyal/mash and serve hot with rice. 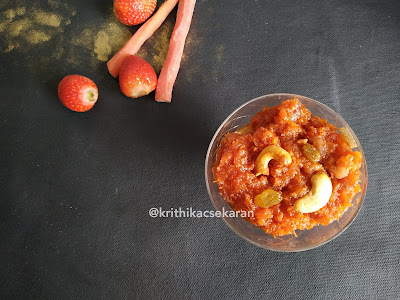 Here we go...Gajar-Strawberry Halwa :) Perfect for a winter evening and pressure-cooked. 1. Add carrot, milk, sugar and ghee to a 2-3 litre pressure cooker. 2. Cook upto 1 whistle, remove from flame and let the pressure subside naturally. 3. Place back on medium flame , add strawberries and keep stirring till it starts to thicken. 4. Once it becomes sticky, add the roasted nuts, give it a stir, remove off flame and let cool a bit. Serve hot and try pairing with vanilla ice cream. So for us, Diwali is on Narak Chaturdashi (tomorrow) , typically on Choti Diwali. This is practised in Tamil Nadu, Karnataka, Maharashtra and Goa, as far as I know. 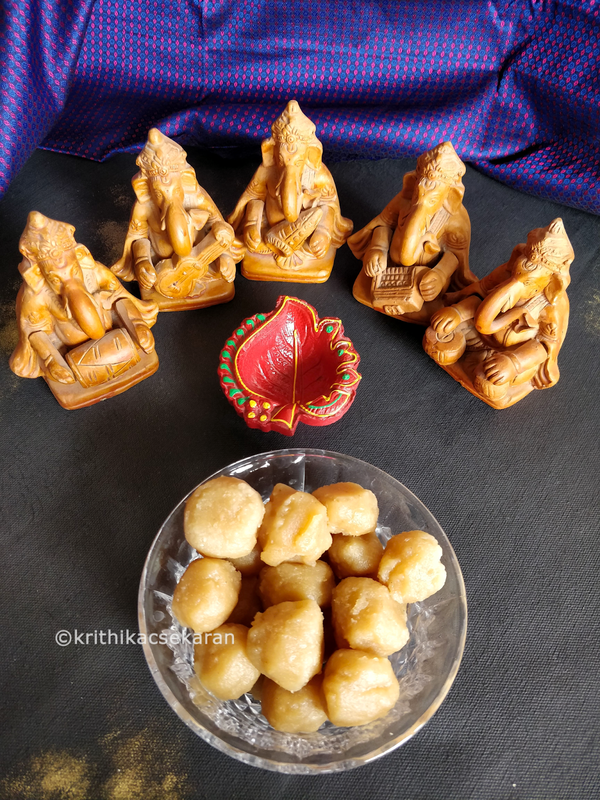 We get up before Sunrise, have an oil bath (specially prepared oil - pic coming up) and the first thing given to everyone is the Diwali medicine. 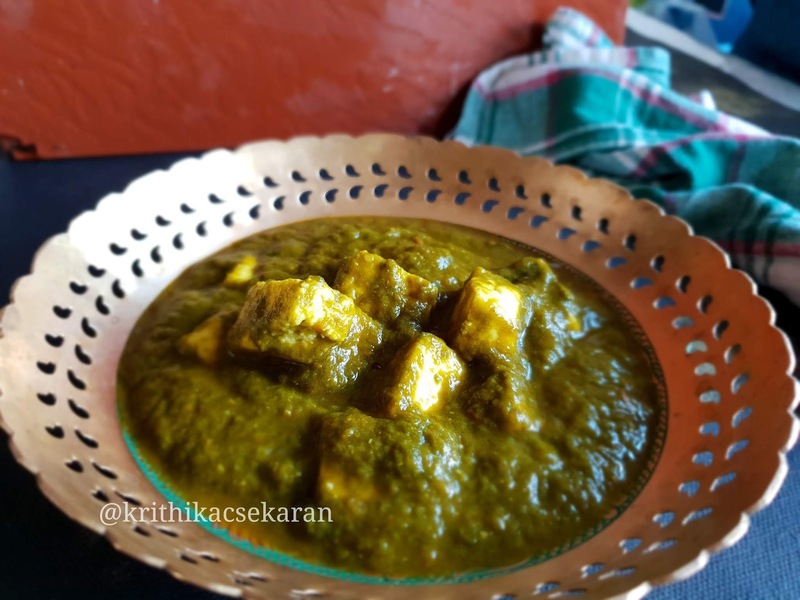 It preps the stomach for the festive food ahead. Here is the Diwali Legiyam/Marunthu (medicine) pic and recipe..
1. Dry grind ajwain to a fine powder. Add other dry spices and grind them too. 2. Transfer to a bowl, add water just upto the level of the powder and let soak for 10-15 minutes. 3. Re-grind this soaked mix with the same water to a fine paste. 4. Heat a thick-bottomed pan and add the ground paste to it. Stir on low flame till it starts to thicken. 5. Add jaggery at this point and stir till it ia dissolved. 6. Now start adding ghee a little at a time till the mixture leaves the sidea of the pan and comes together like halwa. Switch off flame and let cool. Store in a clean, air-tight container. 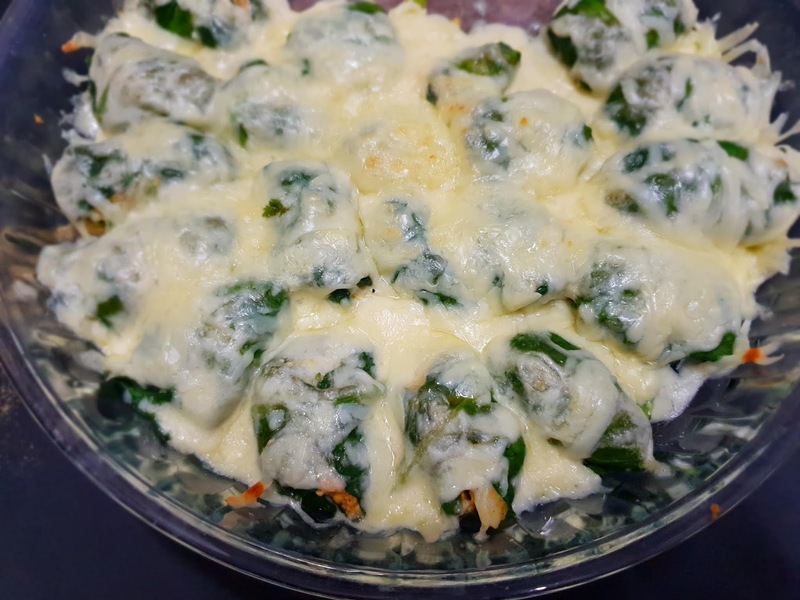 Looking for a NO-OIL, NO-FRY healthy, cheesy snack? Try this..
1. Carefully wash the spinach leaves, taking care not to tear them. Spread out and let dry a bit. 2. Meanwhile prepare the stuffing by mixing together all other ingredients. You can add some cheese to the stuffing as well. I preferred to add them as a topping alone. 3. 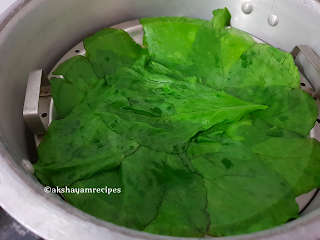 Arrange the spinach leaves as in the picture on a steamer plate and steam for just 30 secs - one minute. We just want the leaves to be tender and manageable. 4. Place a spoonful of the filling at the top and gently roll the leaf around it. Arrange on the baking tray. 5. Sprinkle cheese on top. 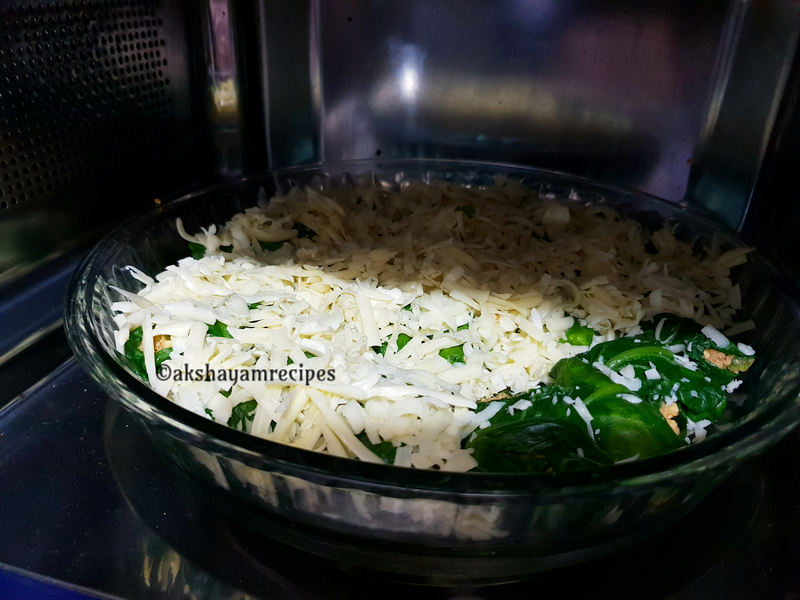 Bake at 170-180 Deg C for 5-7 minutes or till cheese melts and turns golden brown. 1. Mix almond paste with paddle. Add in egg and egg yolk slowly until smooth paste. 2. Change to whisk attachment and whip mixture above until fluffy. 3. Make a medium peak meringue with egg white and sugar. 5. 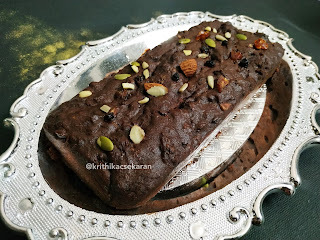 Fold in sifted cocoa powder and flour and then continue with melted chocolate. 6. Bake in 6” ring for approximately 25 minutes at 165-degree Celsius. 1. Dissolve gelatine with cold water. 2. Bring cream, milk and vanilla pod to boil. 3. Mix egg yolk and sugar and gradually add into hot mixture. 4. Continue to bain-marie until 83-degree Celsius with a spatula. Add in gelatine; wait until slightly cool down, strain and fold in Italian Meringue. 2. Warm all purees with sugar until sugar is just enough to dissolve. 3. Melt gelatine and mix with puree mixture. 4. Pour into mould and freeze it. 1. Bring the sugar, water and glucose to boil. 2. Add in the bloomed gelatine and condensed milk. 3. Pour the mixture over the milk chocolate and add in colouring to emulsify. 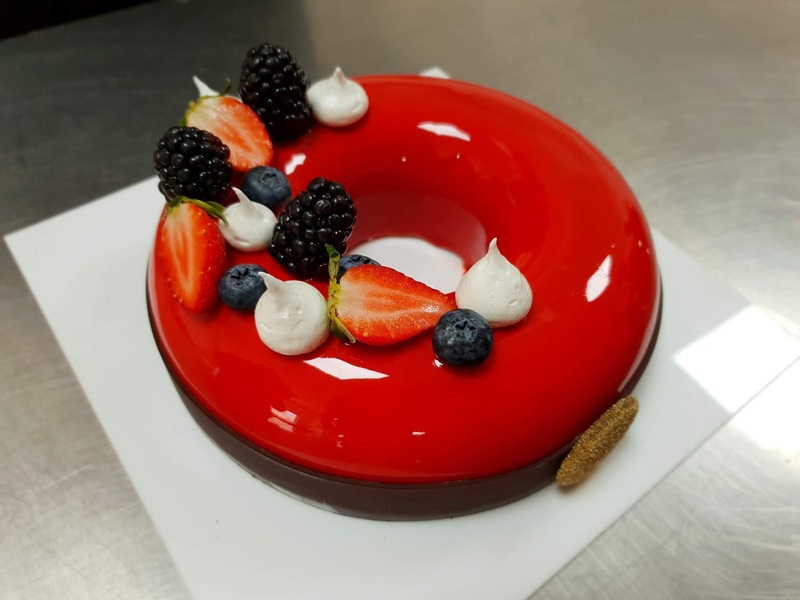 Finishing - Glaze with raspberry glaze and garnish with chocolate décor. Also add chopped raisin with gold dust. 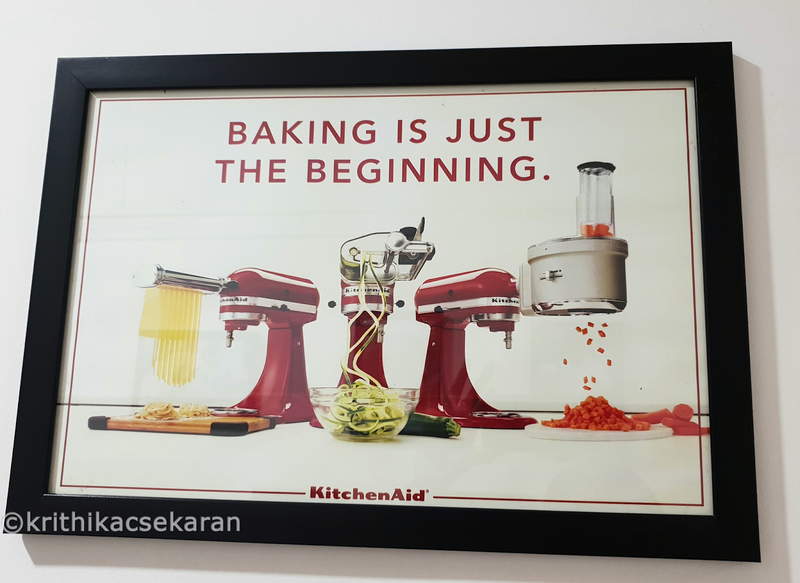 For the love of cooking..and baking.. For many a home chef, baking that perfect cake is a dream come true. Some come out well, some fall flat and literally so. And when the latter happens, we either take that as a challenge and keep trying till we get it right or give up and move on. But for the enthusiasts, passionate wannabe bakers, a guiding, helping hand is a must. And that's where the Academy of Pastry Arts comes in. 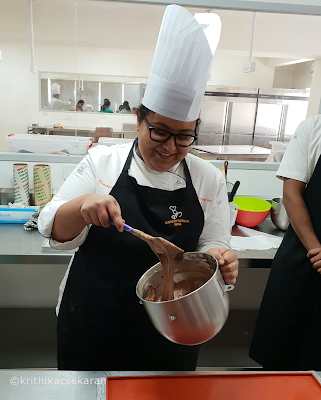 I was fortunate to be part of a demo by Chef Kimberly Rozario who patiently took us through a brilliantly executed baking session. The dessert in mention was - Berry Vanilla Gateau. Sounds simple? But hold your breath, this one had several elements and components to it that needed perfection, technique, patience and of course, the right ingredients. 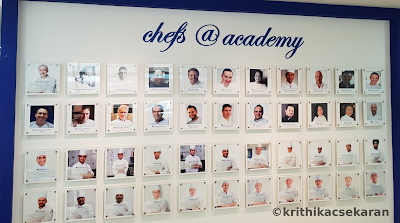 But first, a bit about the academy. 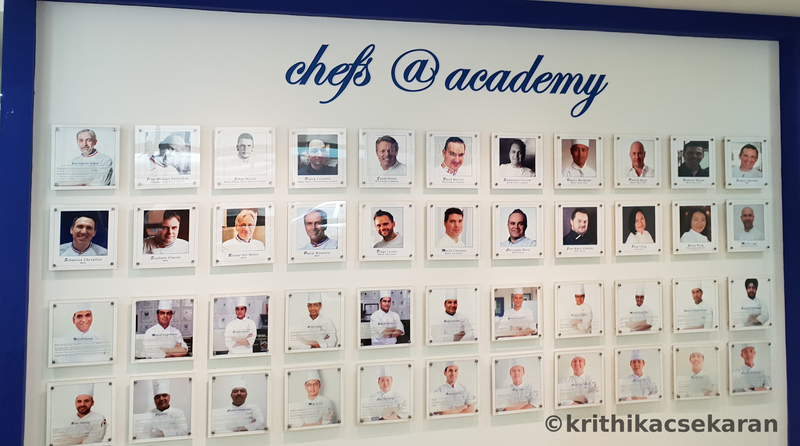 Academy of Pastry Arts was established in 2010 with their flagship centre in Malaysia. They have grown on to presence in Philippines, Mumbai, Gurugram and Bangalore and soon to be opened centres in Dubai and Indonesia. 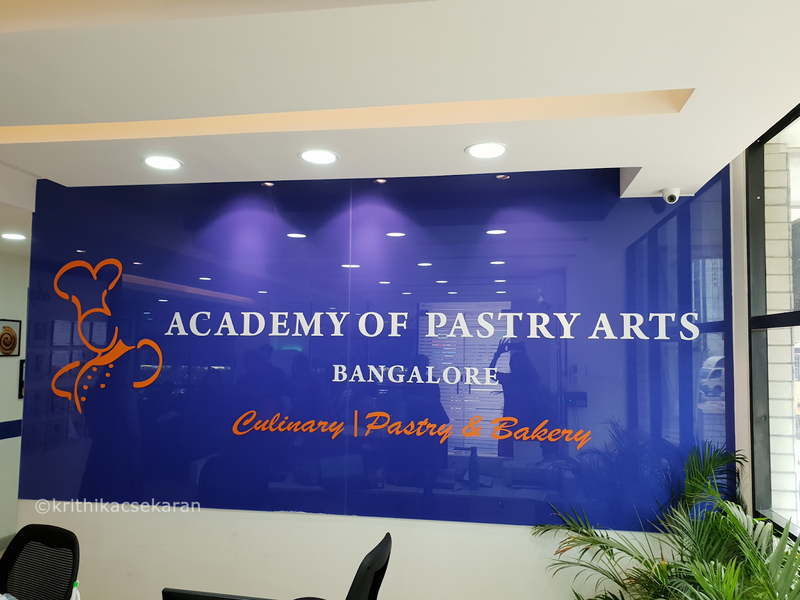 I visited the Bengaluru centre and was absolutely impressed by the vast space, huge learning labs, state of the art equipment, superb chefs and high-end ingredients. Now about the demo..Baking is a science as much as it's an art. One step, ingredient, technique, timing goes wrong and your end result will be anything but perfect. So it becomes inevitable to get the basics right before you set out on your baking journey. ◘ Using the right ingredients, be it the chocolate, cocoa powder, cream, fruit extracts, and so on is extremely important if you want that perfect dessert. No compromises there. ◘ Temperature and Timing are very important. And they are proportional to the baking moulds being used, so no one temperature setting and time works for all. 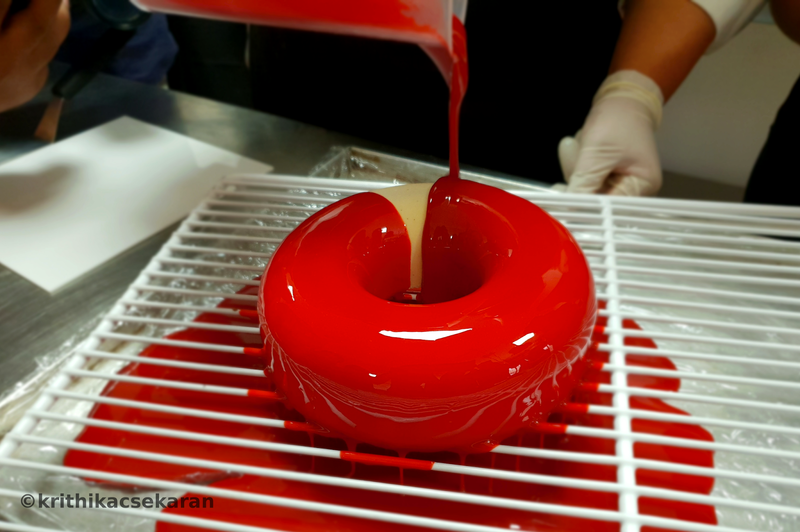 Smaller molds like the typical round cake mold would need a lower temperature so the baking process spreads evenly over the selected time. 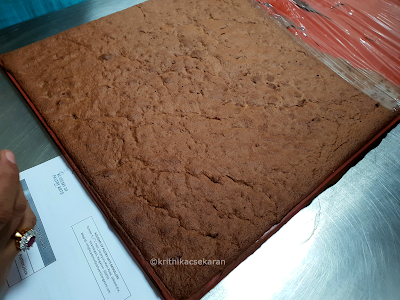 A larger tray with a thinner layer of batter, on the other hand can work with a higher temperature. ◘ When whisking a glaze, you need to avoid air bubbles so keep the whisk head below the surface but don't let it touch the bottom. When done, if you still spot bubbles on the surface, use a cling wrap to smooth them out. ◘ It's good to invest in sustainable and good quality equipment. One such is the Probe or thermometer which is indispensable when working with delicate desserts. And here's the twist, contrary to the name, the academy doesn't just offer baking courses, but culinary as well. And there are both Full time and Part time courses. 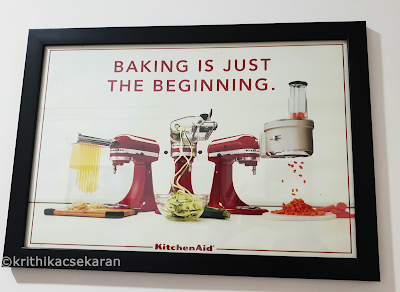 So end note, getting the basics right, be it for cooking or baking is crucial. And you need the right place to learn them. Head to the Academy of Pastry Arts to earn your Toque!! 1. Dissolve jaggery in water in a big pan. Filter to remove impurities if any. 2. Add the cardamom pwd and coconut and bring to a boil. 3. Lower the flame and gradually add the rice flour, stirring continuously. Leave no lumps. 4. Keep stirring till the mixture becomes a thick mass. Remove from flame. Let cool a little. 5. While still bearably warm, oil your hands lightly and divide into equal portions. 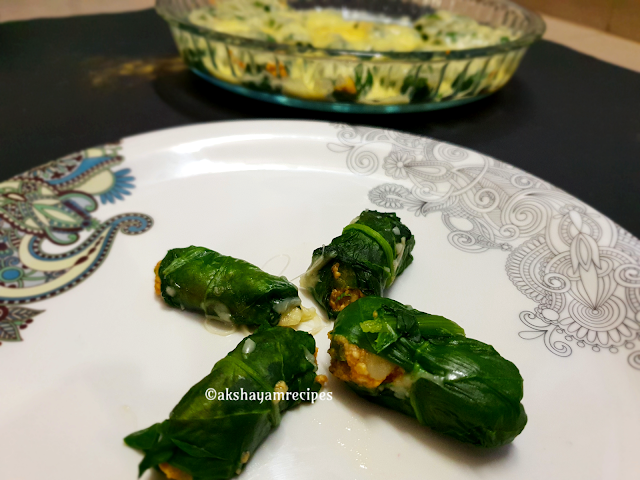 Roll or make into muthiya shapes. 6. Steam cook for 10-12 minutes. Remove and serve.